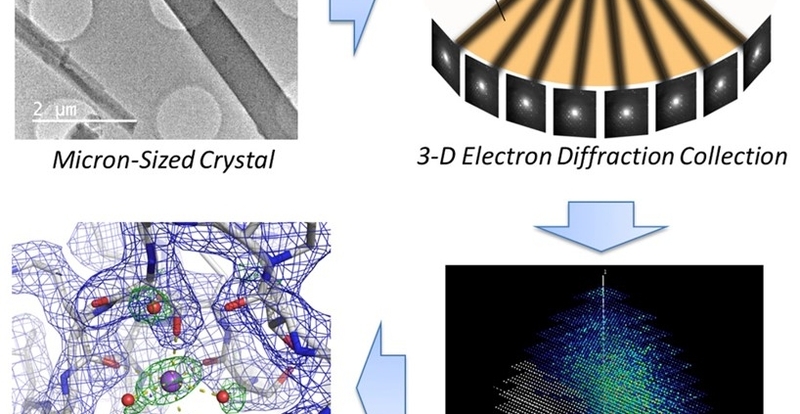 Researchers from Stockholm University solved the structure of lysozyme from micro-crystals with a rare crystal form using ASI’s sensitive detector technology. Due to the detectors’ high read-out speed, in a short time, multiple datasets could be collected improving the final model quality. 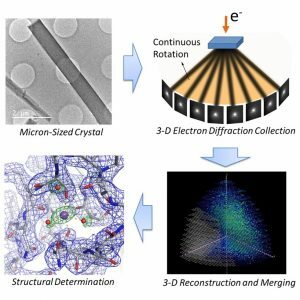 Recent developments of novel electron diffraction techniques have shown to be powerful for determination of atomic resolution structures from micron and nano-sized crystals, too small to be studied by single-crystal X-ray diffraction. In this work, the structure of a rare lysozyme polymorph is solved and refined using continuous rotation MicroED data and standard X-ray crystallographic software. Data collection was performed on a standard 200 kV transmission electron microscope (TEM) using a highly sensitive detector with a short readout time. The data collection is fast (3 min per crystal), allowing multiple datasets to be rapidly collected from a large number of crystals. We show that merging data from 33 crystals significantly improves not only the data completeness, overall I/s and the data redundancy, but also the quality of the final atomic model. This is extremely useful for electron beam-sensitive crystals of low symmetry or with a preferred orientation on the TEM grid. ASI is very pleased to announce that Angstrom Scientific, has been recently appointed the distributor of ASI’s products in the USA. 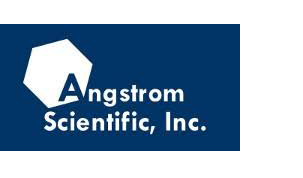 Founders Evan Slow and Bob Sommerville formed Angstrom Scientific in 2004, to focus on providing characterization solutions to nanotechnology researchers. As a distributor and manufacturer’s representative serving the Americas, Angstrom Scientific utilizes Evan and Bob’s combined 50+ years of experience in scientific equipment applications to help customers acquire the instrumentation that is best suited to their needs. As a manufacturers’ representative, Angstrom Scientific is well positioned to provide not only sales support, but also product marketing support, and customer services including warranty program management, and applications and operator training. We are also set-up to supply spare parts and consumables for the products that we represent. Their extensive sales experience of their team make Angstrom Scientific the ideal channel partner for the sales and distribution of ASI’s products, offering our customers the best service. If you’re interested in knowing more, please contact our local representative Bob Sommerville. Amsterdam Scientific Instruments (ASI) has acquired a license from CERN for the TIMEPIX3 technology, a core component for ASI’s next generation hybrid pixel cameras. With the newly obtained license the company can now deliver the systems commercially. ASI is a spin-off from Nikhef, the Dutch institute of Particle Physics. Since its foundation in 2005, ASI is a licensee of MEDIPIX technologies and has been collaborating with Nikhef in the development and commercialization of hybrid pixel cameras based on MEDIPIX technology. TIMEPIX3 is the most recent result of a joint research effort of the MEDIPIX 3collaboration led by CERN. The new TIMEPIX3 based cameras can be used in a wide range of applications varying from X-ray imaging, electron microscopy to particle track reconstruction. 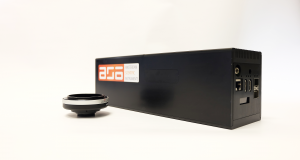 ASI develops, manufactures and sells hybrid pixel cameras, which are deployed in experimental physics labs Argonne National Laboratory (USA) and Nikhef, and industry applications around the globe. ASI’s products are increasingly used in advanced electron microscopes, x-ray imaging systems and mass spectrometers. MEDIPIX is a family of read-out chips for particle imaging and detection developed by the MEDIPIX Collaborations. It enables high-resolution, high-contrast, noise hit free images – making it unique for imaging applications. Hybrid pixel detector technology was initially developed to address the needs of particle tracking at the CERN LHC. The Medipix1 chip, which uses identical front-end circuitry to the Omega3 particle tracking chip, demonstrated the great potential for the technology outside of high-energy physics. To further develop this novel technology and take it into new scientific fields the Medipix2 Collaboration was started in 1999, the Medipix3 collaboration in 2005 and finally the Medipix4 collaboration in 2016. Physicists and engineers at the European Organization for Nuclear Research use the world’s largest and most complex scientific instruments to probe the fundamental laws of nature. CERN’s mission is: to provide a unique range of particle accelerators, to perform world-class research in fundamental physics, to unite people from all over the world, and to push the frontiers of science and technology, for the benefit of all. CERN’s Knowledge Transfer group engages with experts in science, technology and industry in order to create opportunities for the transfer of CERN’s technology and know-how. In the article, Schenk, accompanied by Nikhef PHD Martin Fransen, investigates the use and benefits of our LynX 120 detector in real-life and real-time situations. Their journey starts in the Amsterdam Metro, where they measure the amount of cosmic particles that have penetrated the atmosphere, more than five meters of sand and two meters of concrete. Amazed by the amount of radiation still available in the subway, Fransen explains that Cosmic radiation consists of particles, especially atomic nuclei that fly from stars at high speed in the direction of the earth. They usually arise in powerful processes, such as when a star explodes at the end of its life. Most of the particles in the subway tunnel come from the particle flow that occurs when an alien atomic nucleus arrives in the atmosphere and collides with molecules in the air. Here, charged particles such as electrons and their heavier counterparts create the muons, which then also collide with molecules in the air, creating an avalanche of particles. We measure that radiation on earth as an ever-present background radiation. Originally, the measurement technique was not developed to measure cosmic radiation in the air, but for the LHC, the large particle accelerator at CERN in Geneva. There, protons (hydrogen cores) are shot at each other at a speed approaching the speed of light. This creates a large amount of particles in a fraction of a second. These are then measured with detectors using the Timepix and Medipix technology. By analyzing exactly which particles arise during the collisions, physicists hope to learn more about the world around us. Practical application often results from this pure scientific research. Schenk already mentions the applications in medical research because it can measure X-rays quickly and with great accuracy, but our detectors have also proven to be highly effective in an array of other applications such as electron microscopy and mass spectrometry. 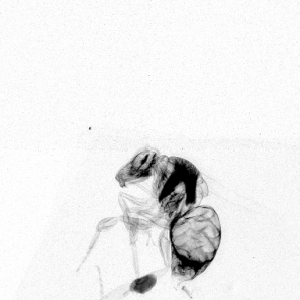 The next part of the article focuses on measurements done at Nikhef of a variety of dead insects. Although you can clearly see the density of the different bodyparts, in the medical world, only a few substances can be clearly distinguished; for example, calcium in your bones or a contrast fluid, such as iodine, that is inserted for research. The detector is therefore ideal for various application in Industry, i.e. to determine the quality of a steel sheet. By looking at the different wavelengths of the radiation, errors and contaminations can be detected. Els Koffeman, professor of instrumentation in particle physics, explains that she dreams of a scanner that makes a detailed picture, for example of your teeth. That information is sent to a 3D printer. He then manufactures a perfectly fitting crown or implant that can enter your mouth. Or you can put your broken arm in the hospital in a machine that makes a scan and a perfectly tailored splint for your print. The same should also be possible for objects: if something breaks, scan it and print a new part. The current CT scanners only measure how many X-rays fall on the detector. The Medipix detector can also measure the energy of that radiation to bring more details to light. 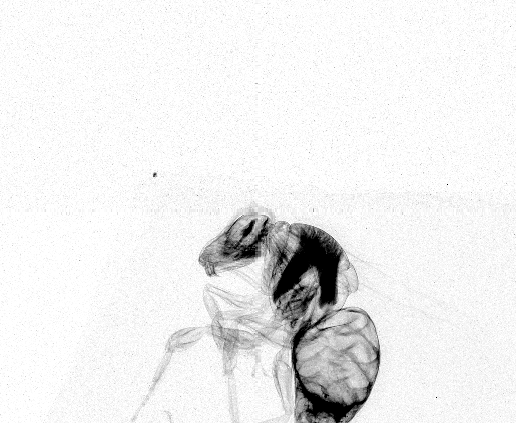 Moreover, the Medipix works a lot faster, so that you can zoom in during the scan. A doctor can then immediately see if she sees a tear somewhere, or that it is just a vein. Originally Medipix was developed for experiments in high-energy physics, such as in the particle accelerator LHC in Geneva. But now the detector has found its own niche outside of experimental physics. The technique has been further developed for use in CT scanners and other practical purposes as you can read here. Over the past few years, ASI has successfully sold a number of these detectors known as LynX – 1800 for X-ray and Chee-tah 1800 for electron microscopy. Want to know more on our products and services? Please click below for your preferred source of information. Nascent Ventures and TechNano Fund invest in Amsterdam Scientific Instruments B.V.
Amsterdam, NL – Amsterdam Scientific Instruments B.V. (“ASI”), a leading vendor of state-of-the-art camera systems for X-ray imaging and electron microscopy, has received an investment from a consortium of investors led by Nascent Ventures. ASI’s camera systems are based on Medipix technology developed by a collaboration of leading physics research institutes under the coordination of CERN, the European Organization for Nuclear Research. The cameras are deployed in experimental physics labs around the globe, including CERN and Nikhef. ASI’s products are increasingly used in the next generation of electron microscopes, x-ray imaging systems and mass spectrometers. The investment will enable ASI to strengthen its leading position in the scientific market and expand its business in emerging industrial markets. Furthermore, the investment allows ASI to strengthen its development team and improve and expand its product portfolio. Hans Brouwer, CEO of ASI commented: “This fundraising will help us to accelerate our business and enable the company to further develop its unique technology”. Steven Tan, director of Nascent Ventures added: “ASI is the first investment of our new fund. We share the vision of ASI and value the warm relations of ASI with Nikhef and CERN. We are excited about helping ASI expand globally”. Willem van den Berg, managing partner of TechNano Fund added: “We are excited by the prospect of the ability of ASI to compete with its technology in many optical application areas. ASI is an interesting addition to our high-tech portfolio. We look forward to the cooperation with ASI, Nascent and Nikhef”. Nikhef, the Dutch National Institute for Subatomic Physics, founded ASI in 2011 in collaboration with a group of informal investors and P2IP B.V. (an investment company of NWO) for the purpose of bringing the Medipix technology and related technologies developed by Nikhef to market. Under the leadership of Dr. Hans Roeland Poolman the company was able to become a leading vendor of advanced camera systems with reputed customers in the scientific market. Nascent Ventures was founded in 2017 by a serial entrepreneur and technology transfer and venture capitalist veteran backed by a group of entrepreneurial private and regional investors. Nascent Ventures is an active seed fund that creates and builds high-tech startups from the ground up based on break-through technologies of Dutch universities and research institutes. Nascent Venture unique approach provides both seed capital and management. Value Creation Capital (VCC) was founded in 2005 by ICT serial entrepreneurs who have started, built and sold interesting fast-growing ICT / Tech companies. VCC (co-) invests in companies active in high tech (through TechNano Fund), software development and managed services. VCC distinguishes itself by combining “intellectual capital”, sector experience & expertise, extensive networking and active value creation of companies (to the next level). Researchers at Nikhef (the National Institute for Subatomic Physics, a partnership between the Netherlands Organisation for Scientific Research (NWO) and five universities) study the interactions and structure of all elementary particles and fields at the smallest distance scale and the highest attainable energy. Nikhef coordinates and leads the Dutch experimental activities in accelerator-based particle physics (in collaboration with CERN) and astro-particle physics. The research at Nikhef relies on the development of innovative technologies. To this end Nikhef avails over advanced technical and engineering departments. https://www.amscins.com/wp-content/uploads/2017/10/asi-logo_nobg.png 188 725 admin https://www.amscins.com/wp-content/uploads/2018/11/asi-logo-slogan.jpg admin2017-11-16 16:52:242017-12-12 13:19:50Nascent Ventures and TechNano Fund invest in Amsterdam Scientific Instruments B.V.